A wonderful surprise found its way to my mailbox last week! I wasn’t really familiar with the whole concept of Mardi Gras, aside from what I saw/heard on TV and in movies/series, so I did some researching. Internet is a wonderful thing, isn’t it? Mardi Gras, also called Shrove Tuesday or Fat Tuesday, refers to events of the Carnival celebrations, beginning on or after the Christian feasts of the Epiphany (Three King’s Day) and culminating on the day before Ash Wednesday. Mardi Gras is French for “Fat Tuesday”, reflecting the practice of the last night of eating richer, fatty foods before the ritual fasting of the Lenten season. The holiday of Mardi Gras is celebrated in New Orleans, Louisiana, the day before Ash Wednesday. Usually there is one major parade each day (weather permitting); many days have several large parades. The largest and most elaborate parades take place the last five days of the Mardi Gras season. In the final week, many events occur throughout New Orleans and surrounding communities, including parades and balls (some of them masquerade balls). CLICK HERE if you want to read more about the New Orleans Mardi Gras from Wikipedia! 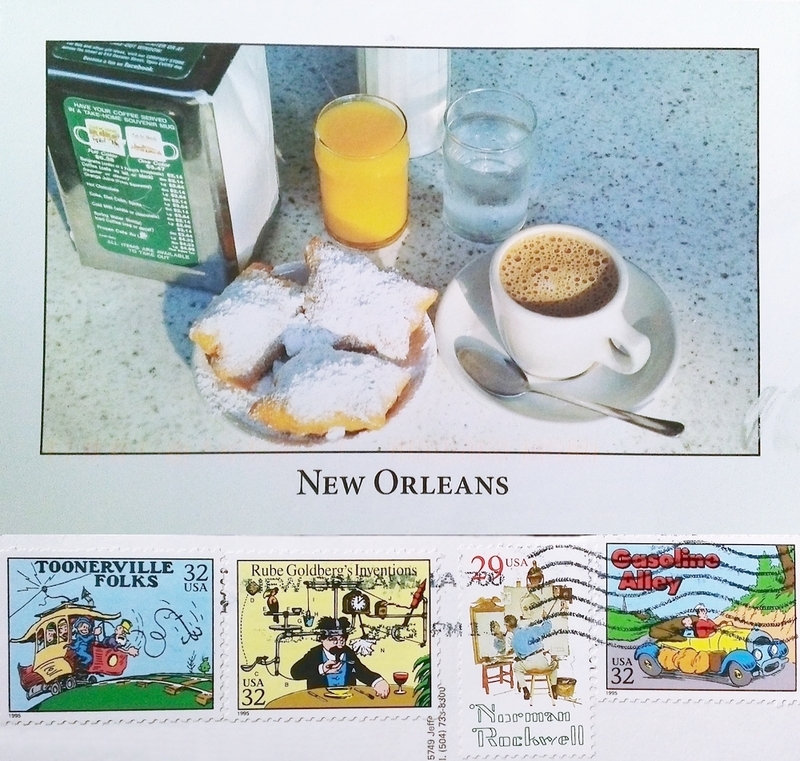 A lovely cup of coffee and beignets. Wasn’t quite sure what those were (click here! 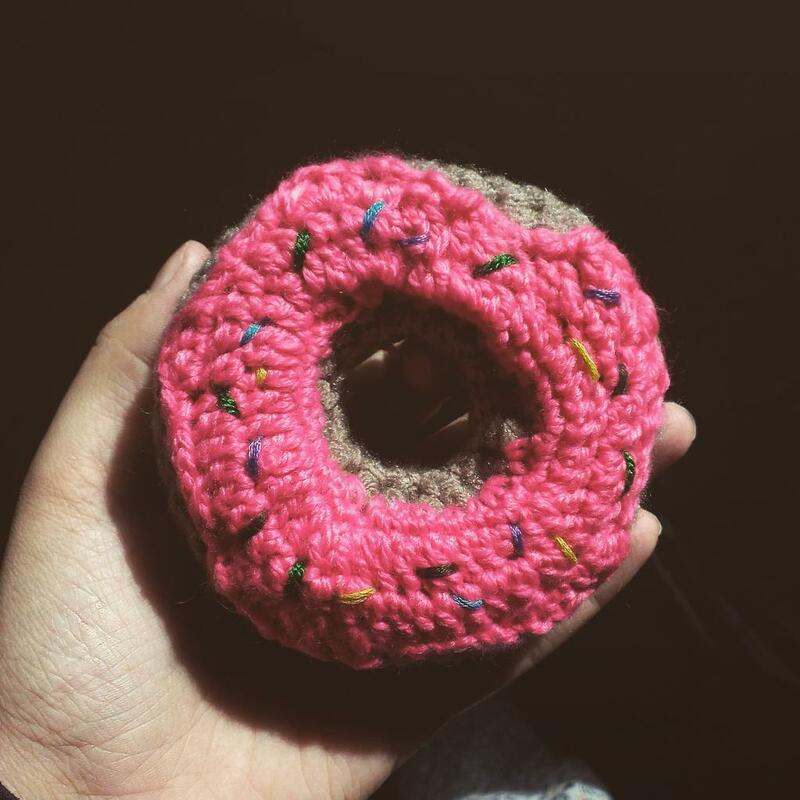 ), except that they were OBVIOUSLY something I’d eat right away, so I went on and googled how to make one. I think I’ll stick to my leftover brownies from last night as they seem much, much easier to bake, but these beignets look like a tasty treat for sure! 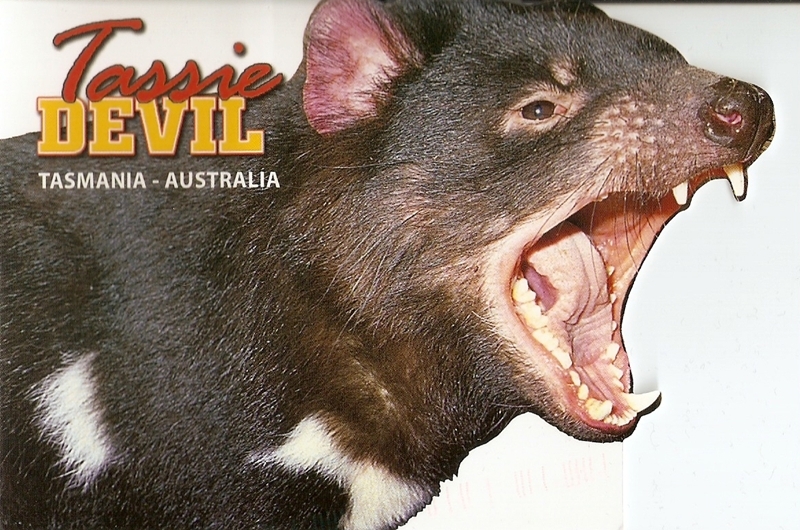 Anyway, today I’m sharing two lovely postcards sent by O’Neal. Lovely postcards, both of them! 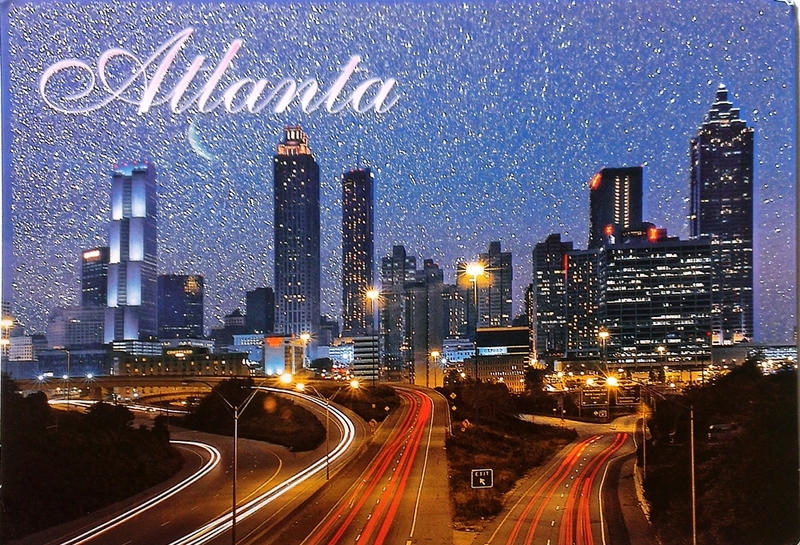 First is from Atlanta, Georgia. 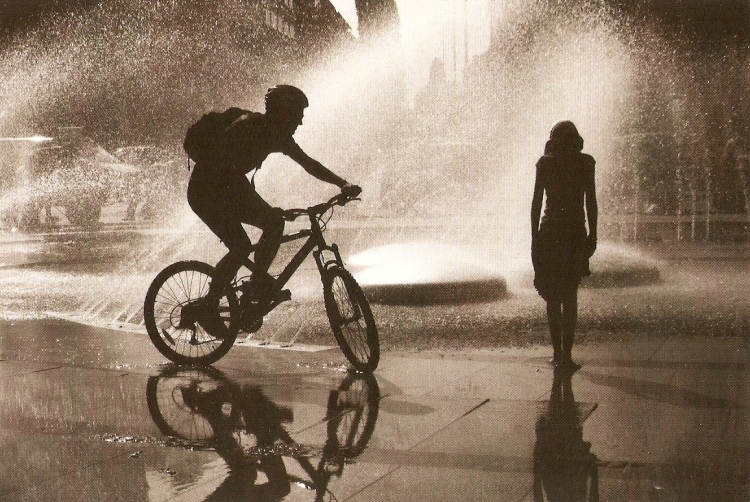 More info on the city – HERE. And now, please look at the view. I’m not a glitter-fan in any normal situation, but doesn’t the glittery sky just fit the image here??? I kind of love it! 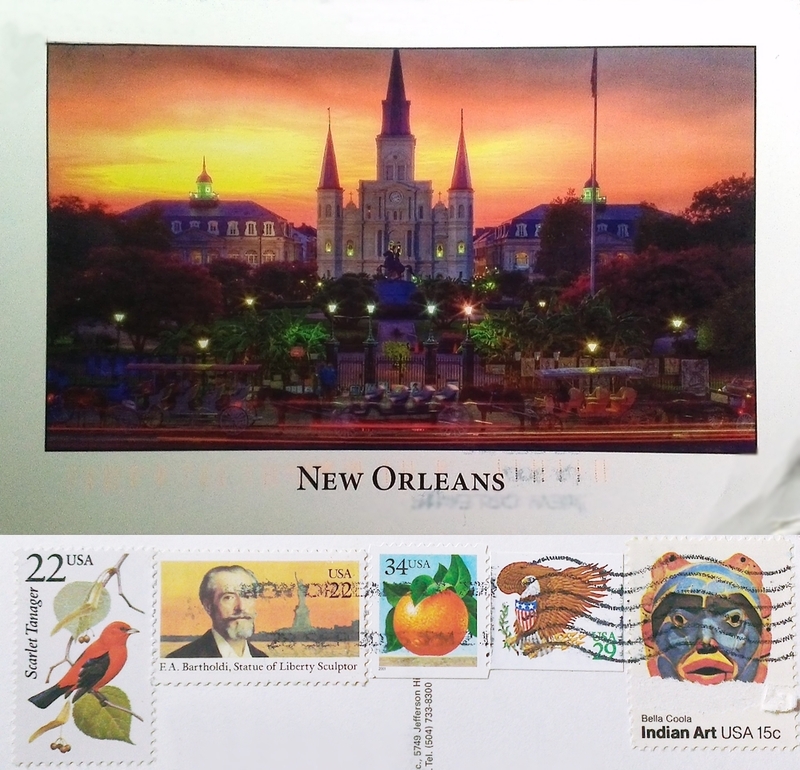 Also, look at the wonderful stamps! 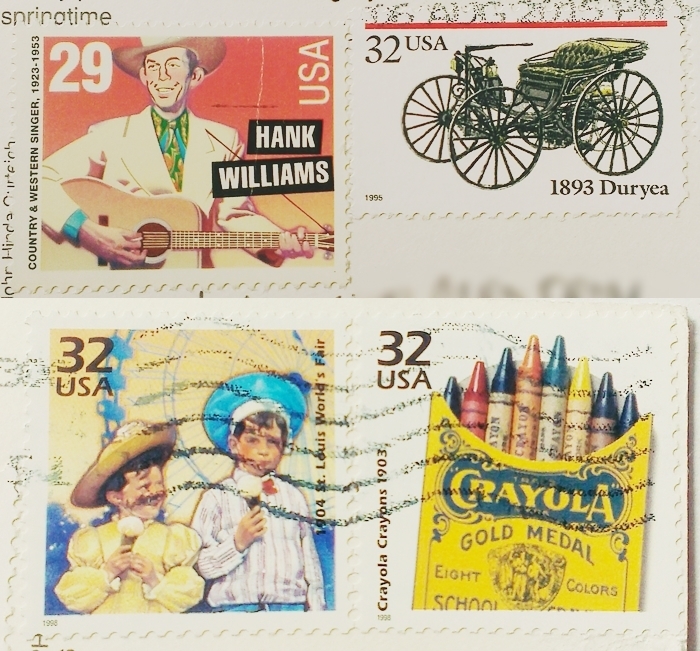 I love all the stamps O’Neal uses on his postcards. I only wish Croatia had so many to choose from! 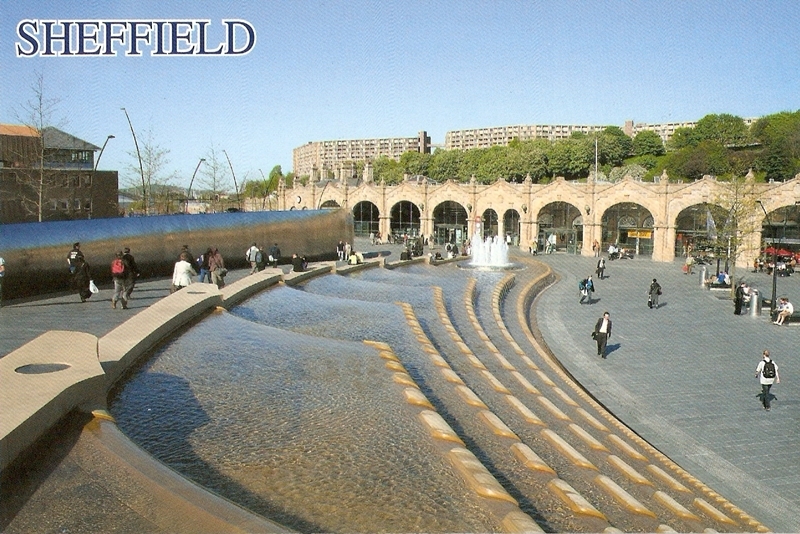 Great postcard, by the way! I love how it looks! 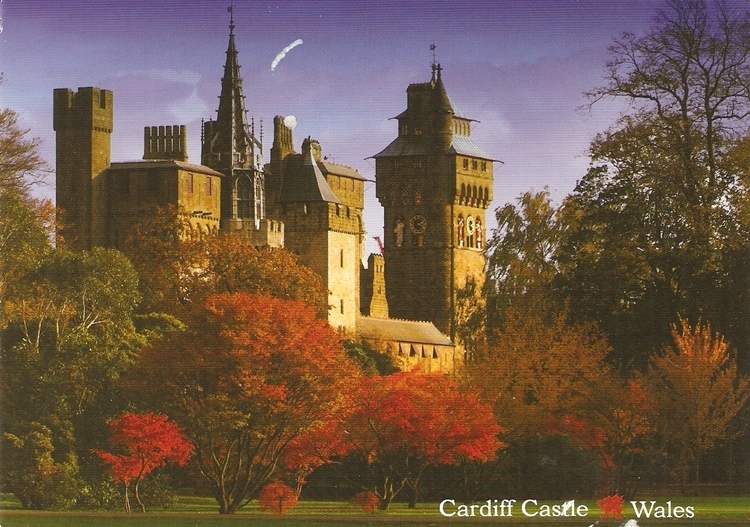 The second postcard arrived just this morning, from my – not so new – pal, Kathryn. She’s traveling in Europe and is visiting the UK. 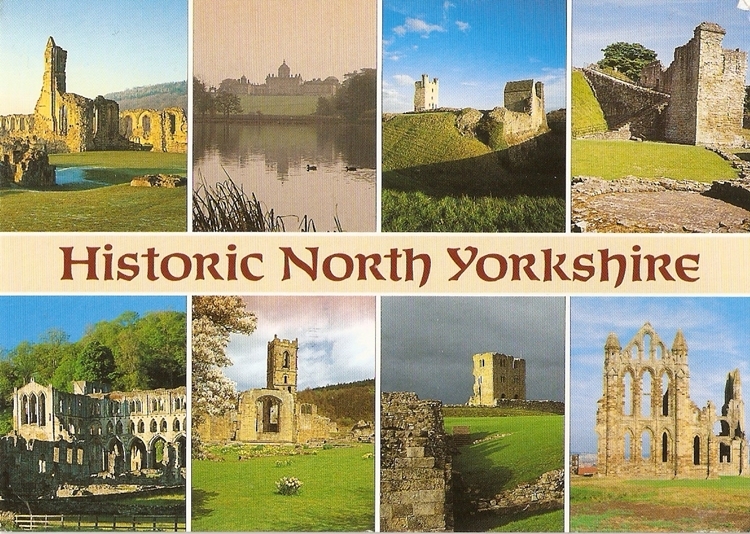 The postcard is showing the Historic North Yorkshire, or more specifically: (top row, left to right) Byland Abbey, Castle HOward, Helmsley Castle, Pickering Castle, (bottom row, left to right) Rievaulx Abbey, Mount Grace Priory, Scarborough Castle, Whitby Abbey. One of my newer pals, Rose, was kind enough to put together a little package and send it my way. Aside from candy (Cadbury chocolates are my new love!) and cute little souvenirs (such as a key chain and the coolest 3D red London bus magnet), some tea (that I still haven’t tried because it’s just too hot around here to drink tea)… she also sent me these three postcards! 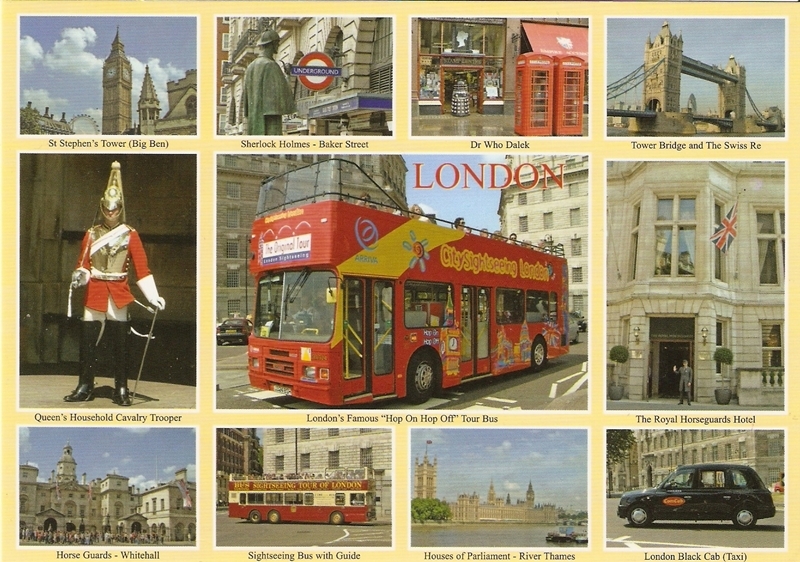 First, of course, a London multiview postcard. 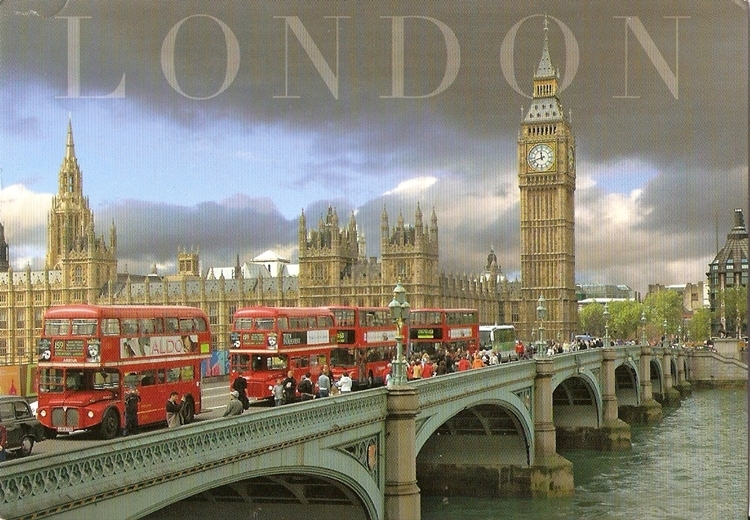 Because London is my dream destination… and there’s a picture of Sherlock Holmes statue on it. I <3 Sherlock! 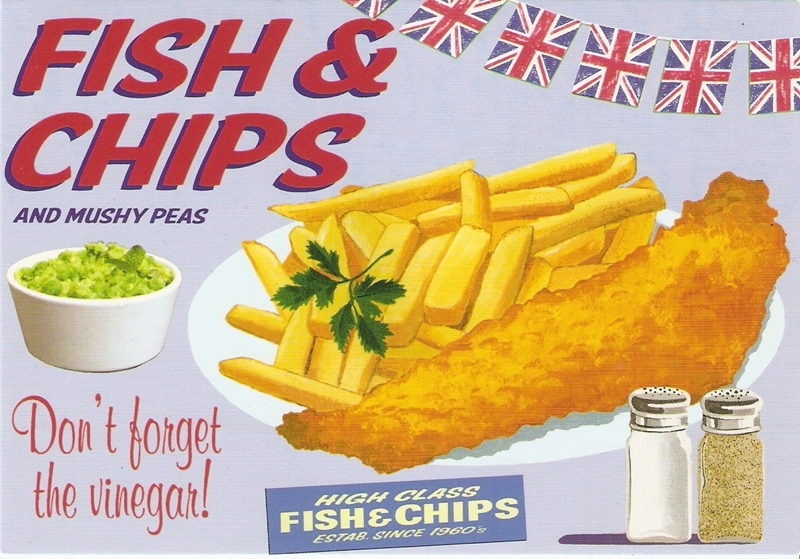 Third, this cool fish & chips postcard. 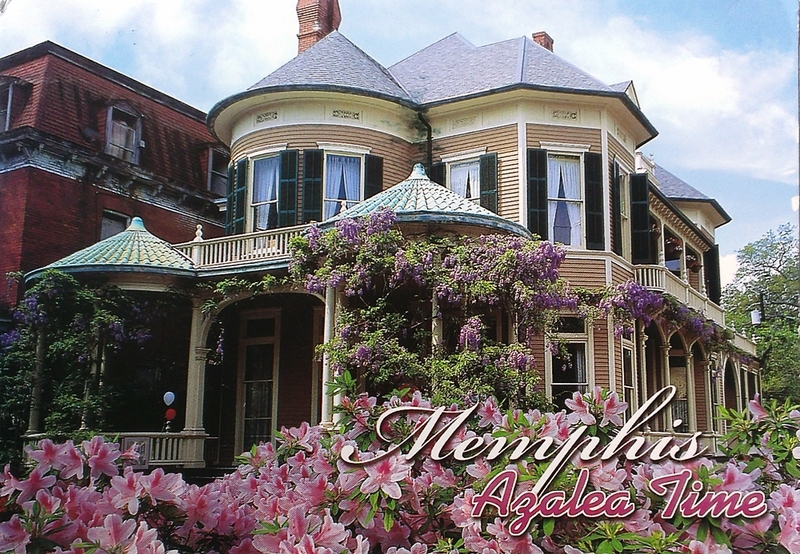 I was asking her about that dish a while ago in one of our e-mails, and she added this lovely postcard to her package! I’m still curious to try out the actual meal, ha ha! My dear pal Kathryn sent me these two postcards during the time I was “avoiding the computer”. I’m going to upload them together simply because they’re from the same sender and from the same area!